Our small team has racked up a lot of bar experience over the years. We’ve seen trends come and go. We witnessed vodka’s ascendancy and the great whiskey revival (Hallelujah). Still, one particular trend has always fascinated us, partly because it just keeps coming back. Tiki culture is one of the most peculiarly North American bar trends to ever hit the scene, and it couldn’t have a more improbable origin. 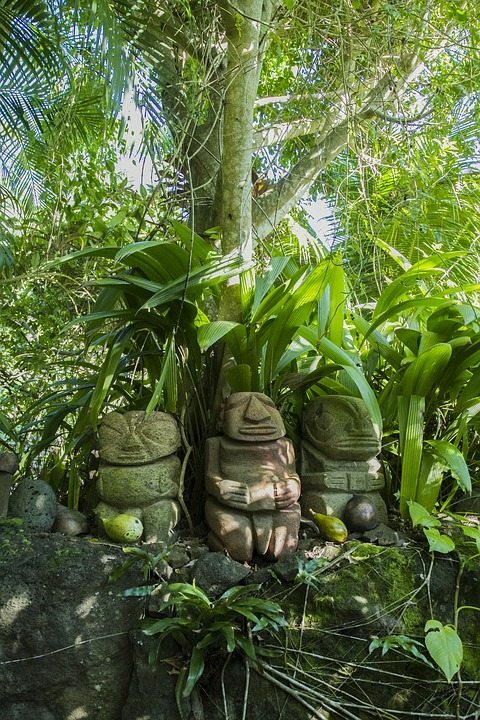 There are a lot of misconceptions about Tiki culture, but it’s easy to set the record straight. In Māori mythology, Tiki was created by the gods and considered to be the first man. Later the name was given to stone or wooden humanoid carvings that were used to mark the boundaries of sacred or important sites. But none of this has any relevance to American Tiki culture. Earnest Raymond Beaumont Gantt was an interesting man. 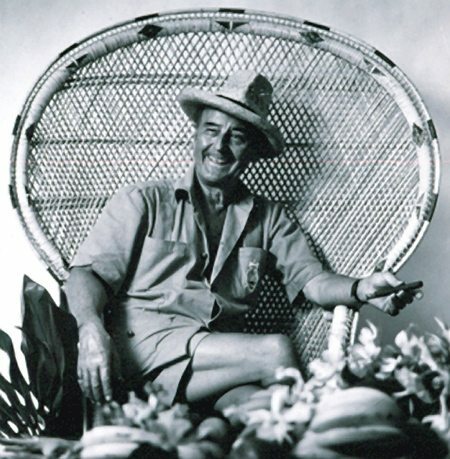 In 1926 at the age of 19, he left Texas to see the world, and his travels took him all the way to remote Pacific islands. When he returned, he got into the lucrative business of bootlegging. But with an American entrepreneur’s keen eye for cultural appropriation (divorced from any cultural significance or meaning) Earnest figured he’d seen something on his travels that would appeal to his nation’s fascination with the exotic. In 1933, he opened his first restaurant called Don’s Beachcomber Café. It featured strong rum and fruit juice cocktails and was lavishly decorated in a Polynesian theme. Air travel was making it possible to reach corners of the world that were previously impractical to reach, and his bar and restaurant tapped directly into America’s hunger for the exotic. He moved across the street in 1937 and changed the restaurant’s name to Don the Beachcomber, but his original formula was still perfect. 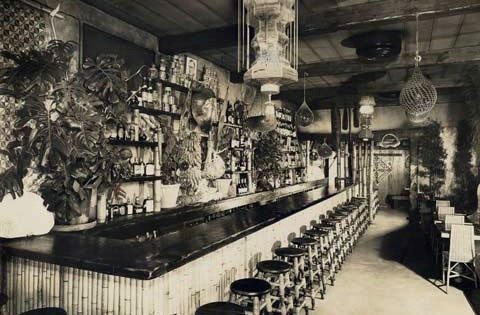 Earnest (who would eventually change his name to Donn Beach) created the world’s first Tiki bar. While he was serving in World War II, and under the management of his very savvy wife, Donn the Beachcomber expanded into a chain of 16 restaurants. 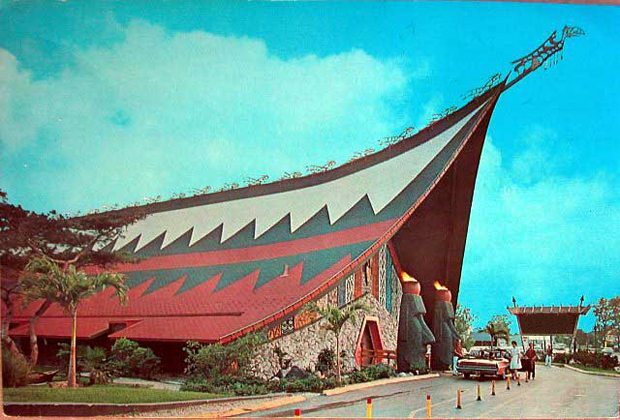 Don inspired competitors like Trader Vic’s and ushered in a fad that would continue to grow throughout the 40s, 50s and 60s. The trend finally began to decline in the 70s and 80s, and eventually most of the old institutions vanished. And then, in the mid-to-late 90s, it came back. And then it vanished again after a few short years. But guess what? It’s back again. Tiki just won’t die, and that’s something we admire. Also, the drinks are delicious. While rum was typically the spirit of choice, there were always a handful of drinks that featured bourbon. 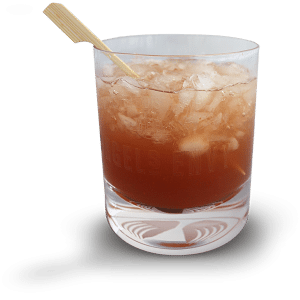 We’d like to share a recipe from one of the venerable old institutions, improbably enough, from Columbus Ohio called Kahiki. This sprawling bar and restaurant featured a running stream, a massive rainforest room (with an indoor thunderstorm every 15 minutes) and some of the strongest drinks we’ve ever had. Sadly, Kahiki closed its doors in 2004 and is currently a parking lot, but we’re proud to help keep their cocktails alive. We absolutely recommend the Port Light the next time you’re in the mood for something tropical. Stir with ice and strain into a rocks glass full of crushed ice.